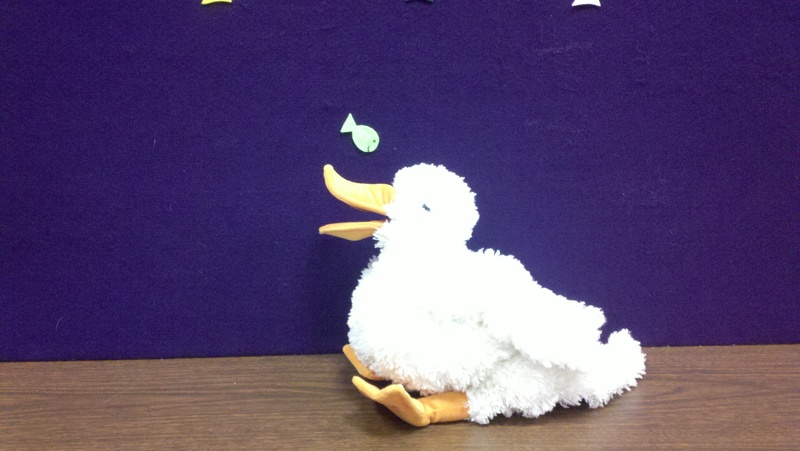 Last week in storytime, our theme was one of my favorites: ocean animals. I did this one a few months back and had a great response to it. Because I wanted to keep the theme fresh and exciting for myself, I tweaked the plan a little, adding a new book and an iPad app at the end. Overall, I think the children really enjoyed it, though I’d probably tweak it a bit more the next time I try it. Writing Activity: Who lives in the ocean? The kids mentioned fish, sharks, whales and starfish. We probably could have gone on and on with ocean animals, but we stopped there to read our first story. I discovered this book in a Barnes & Noble when I was visiting my parents last spring, and I absolutely fell in love with it. When I returned to work, I searched our catalog and was shocked and amazed that we didn’t have it in our collection. So I made sure to order it, and I’m so glad that it was in for this storytime. I know I say this about a lot of picture books, but the illustrations in this book are so colorful and wonderful. The expressions on the pout-pout fish are golden, and the rhyme flows very easily. Another reason why I love this book is the expansive vocabulary. Words such as kaleidoscope and locomotion present opportunities to expand the children’s vocabularies. 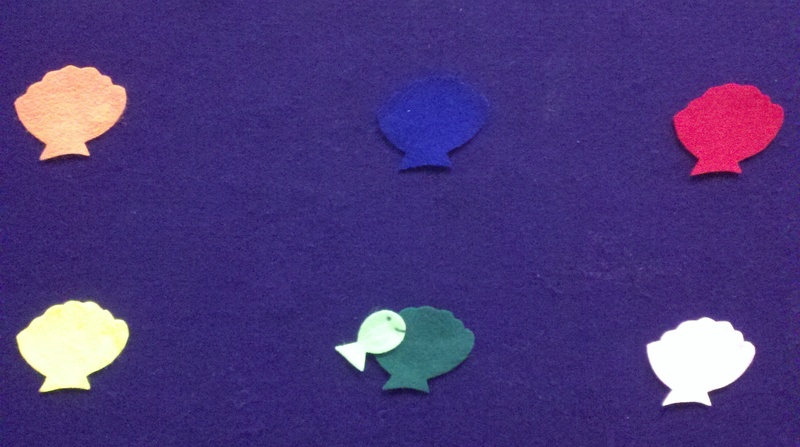 Little fish hid behind the colorful seashells and we tried to find it by saying “Little fish, little fish, are you behind the _____ seashell?” The 3 and 4 year olds in storytime love playing this game, and even the younger ones get all excited when we finally find the little fish. Not only is it fun, but it also reinforces color recognition. Not my most favorite picture book of all time, but it works fairly well in storytime. 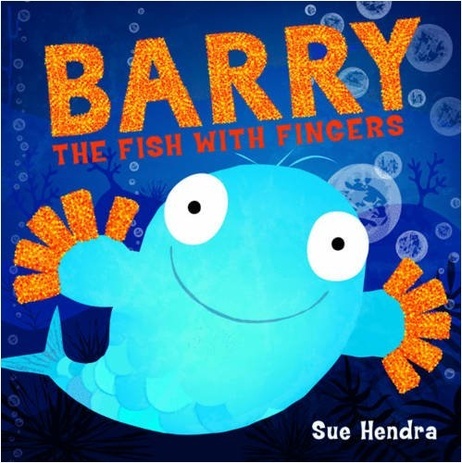 Barry is a fish who amazes all of his fish friends with his fish fingers. This book presents a good opportunity to discuss some of the things we use our fingers for, and it’s short enough to read to a younger crowd. I tried explaining the motions to this one last time I posted it on this blog, and it didn’t work out so well; however, Katie does an amazing job of explaining it. Rhyme Cube: Twinkle, Twinkle Little Star on Tuesday, and This Is The Way The Lady Rides on Wednesday. Book #3: Swim! by Lerch. 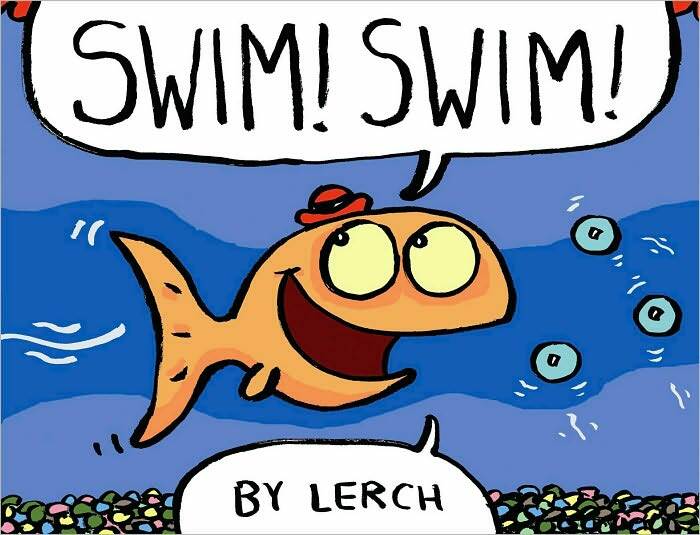 This book is about a lonely goldfish named Lerch who just wants a friend. He tries to befriend the pebbles, bubbles and little scuba diver figurine in his bowl but is distraught when they don’t talk to him in return. When a cat shows up to his fish bowl, it looks like Lerch might become lunch. But, in a strange twist of fate, he becomes friends with another little fish instead. This book is all dialogue, and I usually avoid that for storytime books, but this one worked out pretty well. 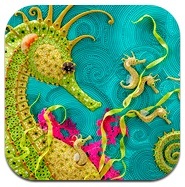 This is a beautifully done picture book app; however, it’s better suited for one-on-one sharing than it is for storytime. While I knew this going in, I still decided to share it in storytime anyway. This app talks to you when you first open it, so before storytime started, I opened it up and then put my iPad to sleep with the app still running. When it came time for the app in storytime, I just woke my iPad up and selected the sing to me option (there’s also a read to me and a read on my own option). While the app sang, I demonstrated how to tap on the little baby fish to get them to move. Afterwards, I squatted down and had the kids take turns tapping a baby fish. We didn’t go through all 10 fish – my Tuesday group did 1-5 and my Wednesday group did 1-3. A few of the younger kids had problems tapping (they swiped instead and turned the page), but I figure this is good practice. I’ll be looking for a new oceans iPad app for future storytimes; however, I’ll definitely be recommending this app to parents who want a high quality picture book app for their kids. How It Went: The Pout-Pout Fish was my favorite book, though I can’t tell you which book the children liked the best; they sat quietly for every book. Little Fish was a big hit, and Baby Shark had a lukewarm response. My Wednesday group did not seem to enjoy This is the Way the Lady Rides, though it might be because they’re not familiar with it. I’ll have to try it a few more times to see if they warm up to it. And, like I said before, Over in the Ocean is better for one-on-one sharing, but the kids were enthralled and very happy that they got a chance to tap the screen to make the sea creatures move. I’m glad you think I did a good job! I spent twenty minutes trying to write it out and then I made two co-workers read it over for clarity! One day, I’ll do a vlog about it. You did a fantastic job! When I tried writing it out, I ended up with a long and convoluted paragraph. A vlog about it would be very helpful. A video would be helpful for a lot of fingerplays, etc.! 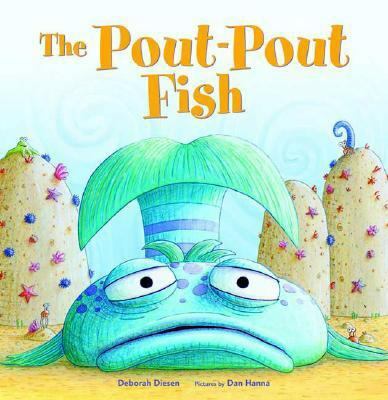 Thank you for including The Pout-Pout Fish in your Ocean Storytime! You’re very welcome! Thank you for writing it!